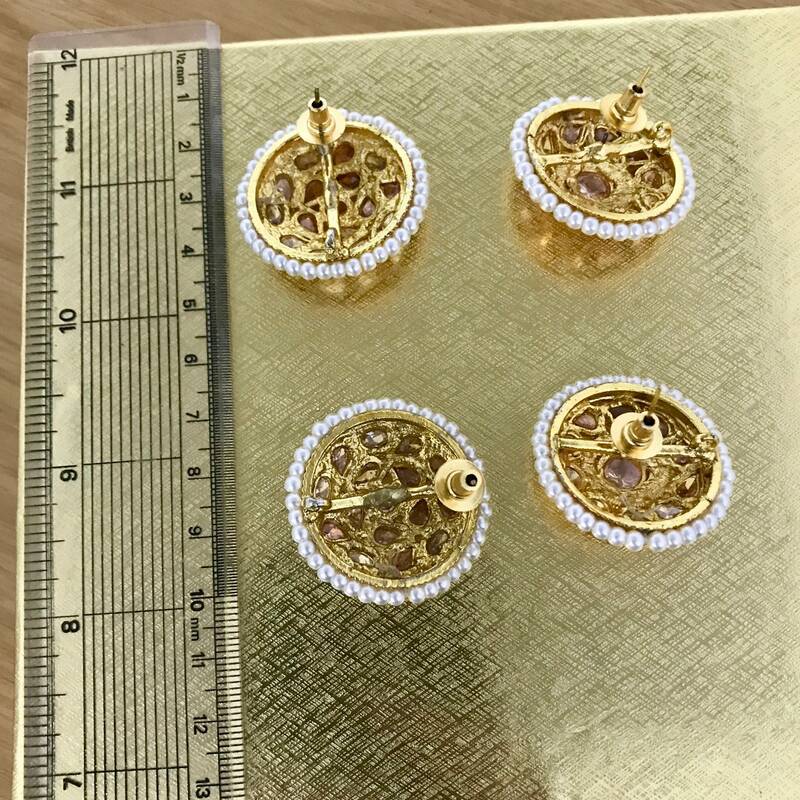 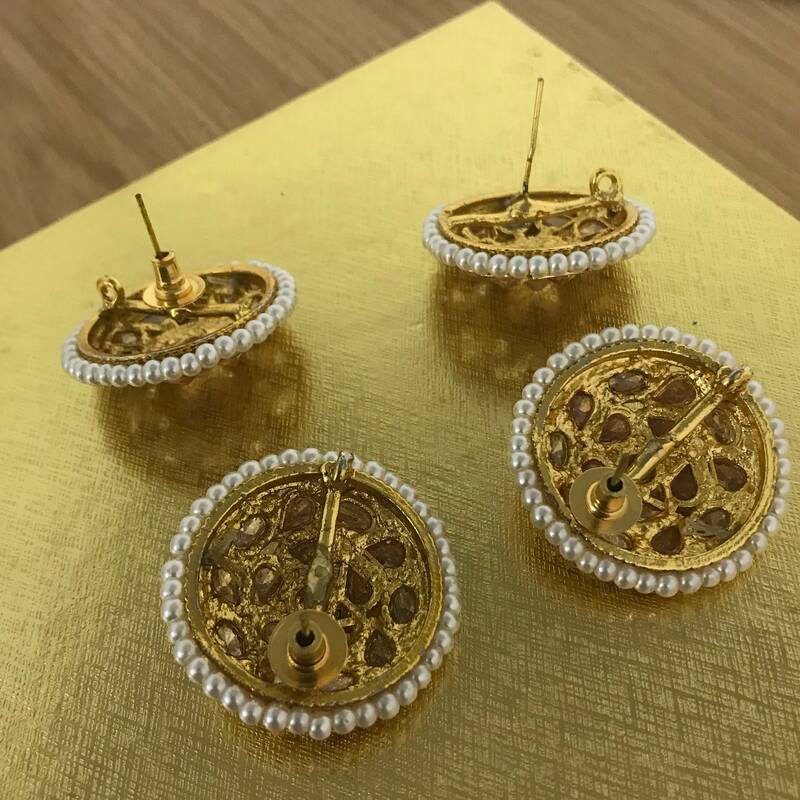 2 Pairs of Classic high quality pierced stud earrings. 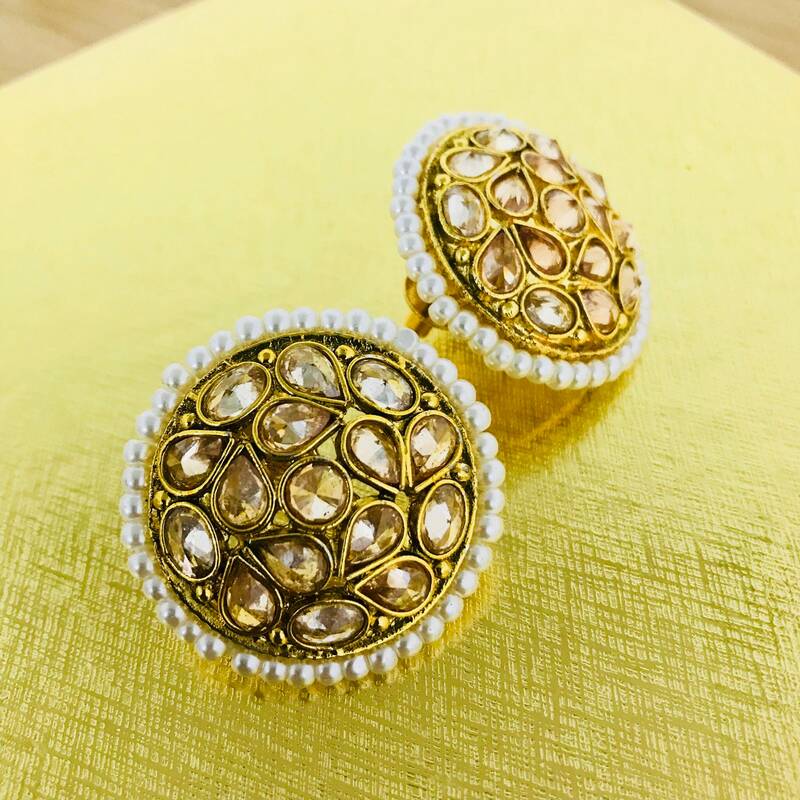 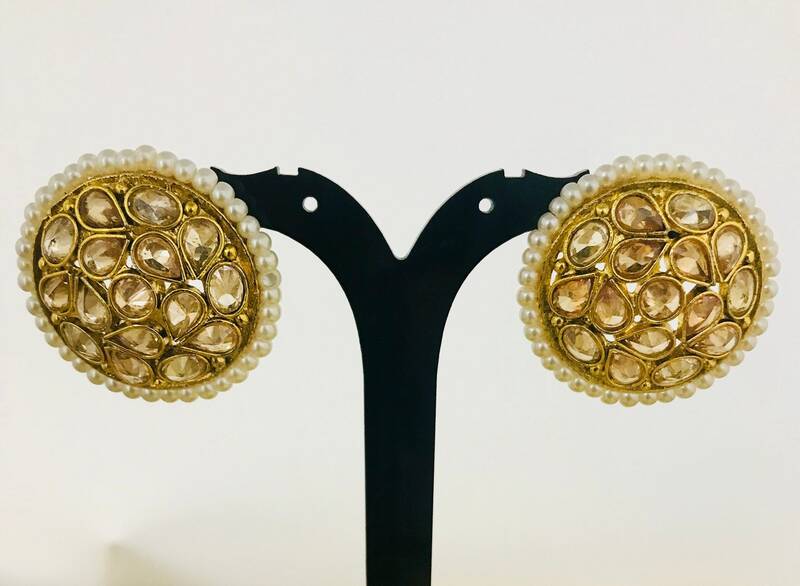 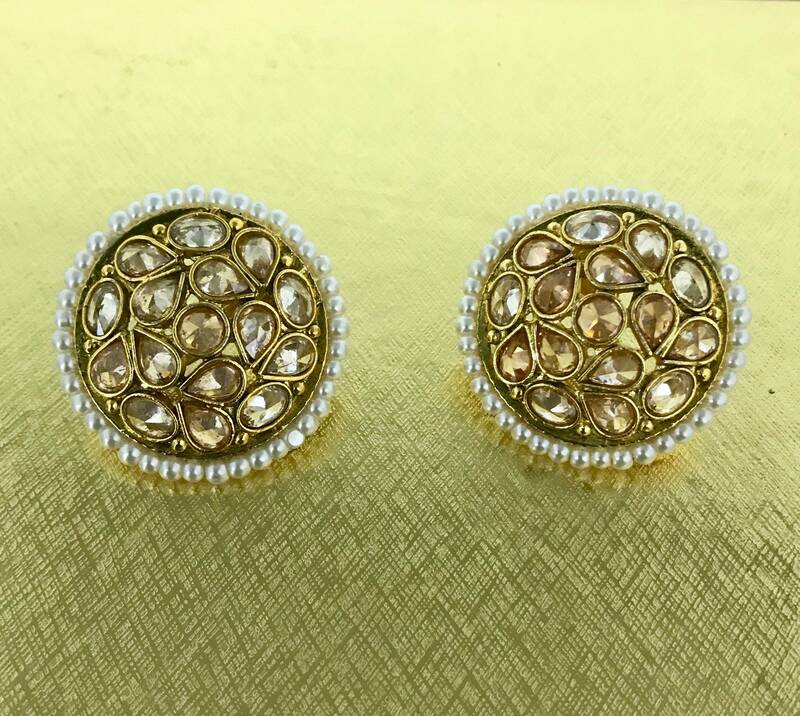 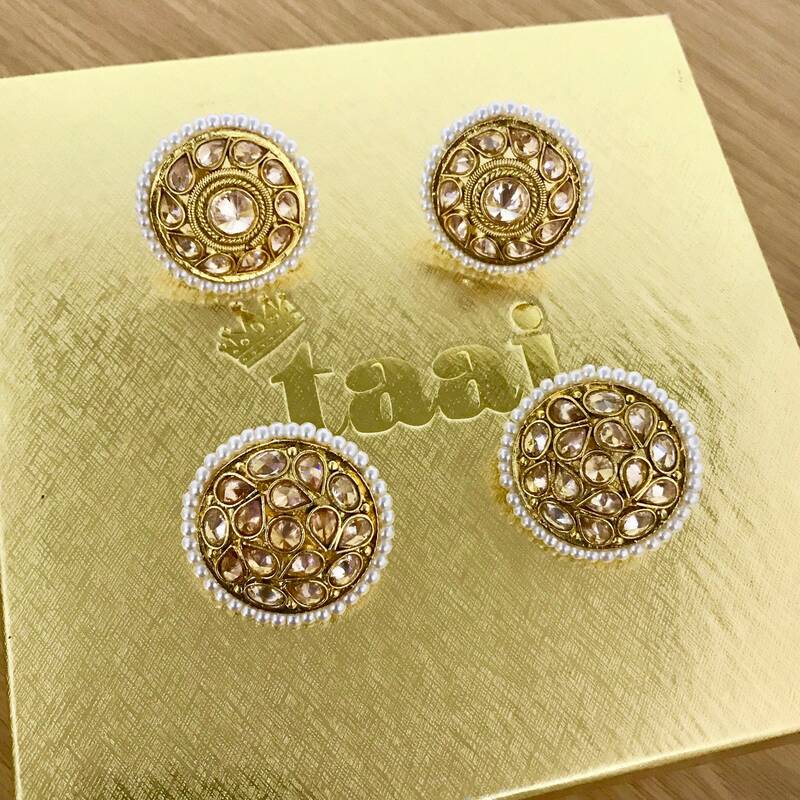 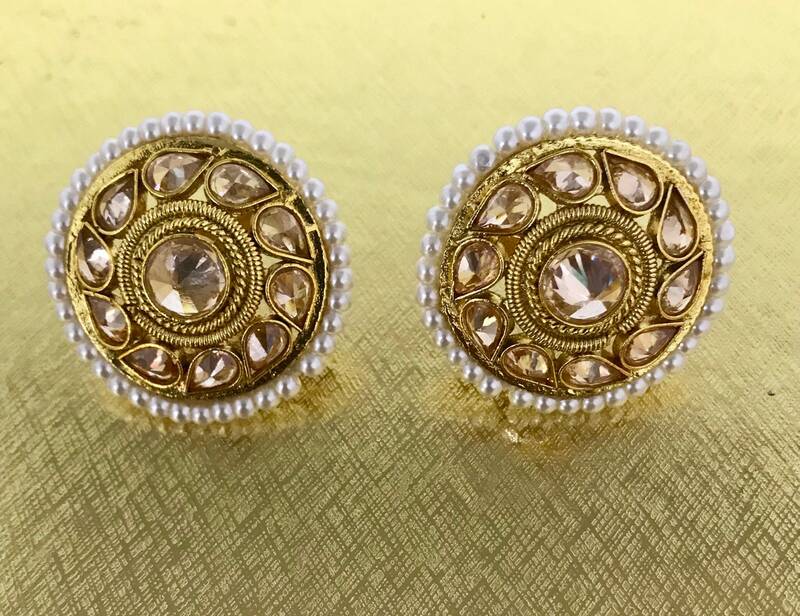 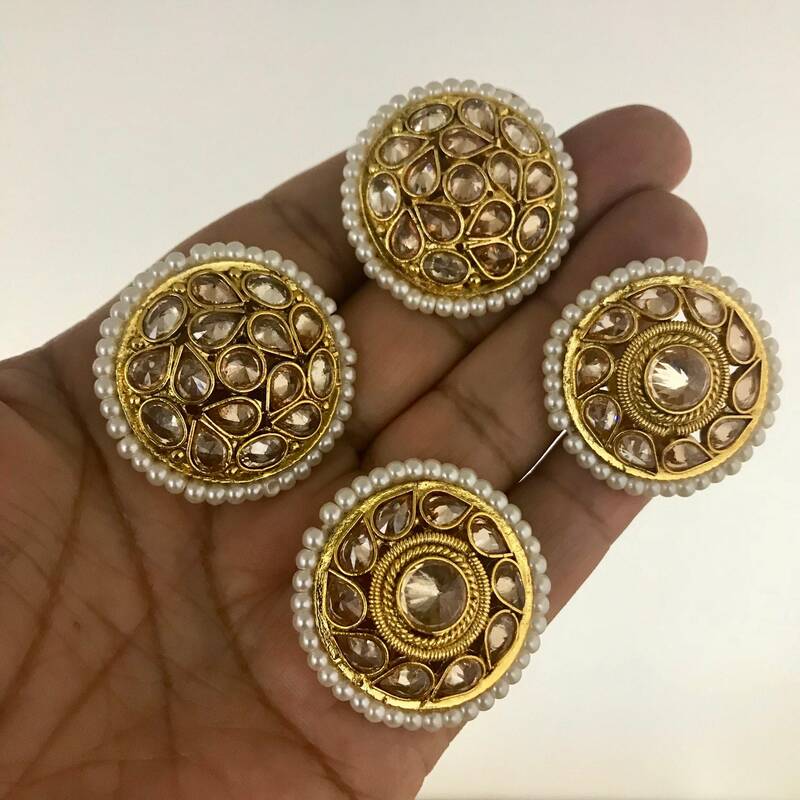 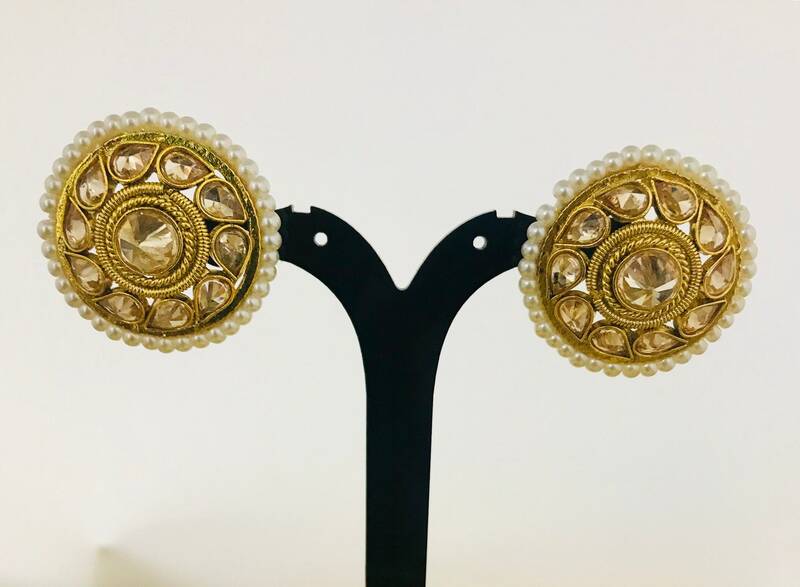 Gold coloured earrings with gold colour Polki stones and ivory colour pearl trim. 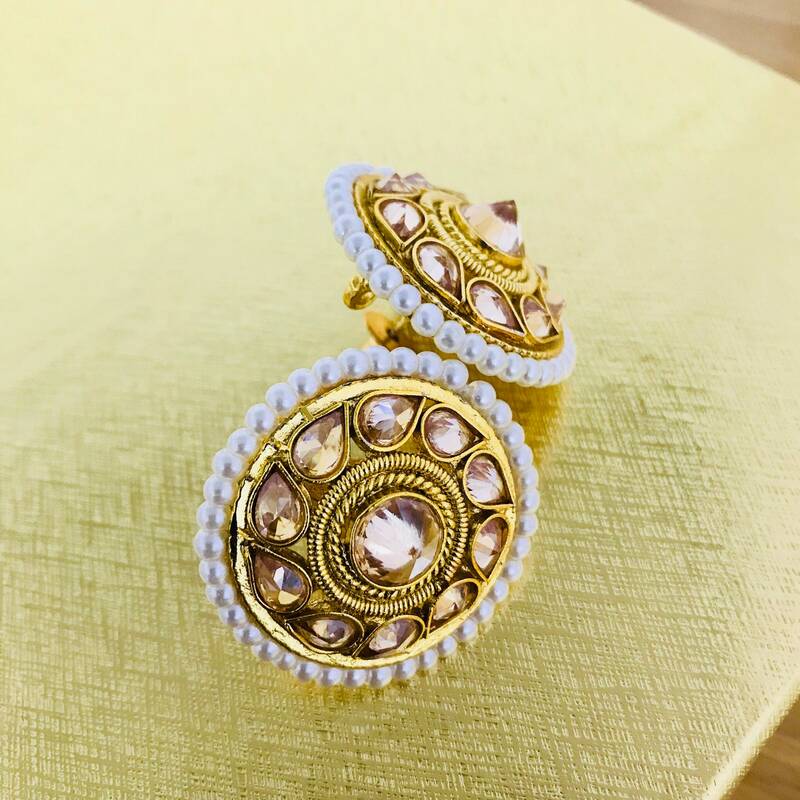 ALL ITEMS REQUIRE A SIGNATURE UPON DELIVERY.ITEMS NOT RECEIVED OR COLLECTED WILL NOT BE REFUNDED.